If I saved my sparkles for a night out on the town, then I would never sparkle! I just don't seem to go out much any more. It's not that I dislike going out. It's just that time is limited. 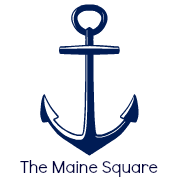 My husband and I both work full time outside of the home and on my day's off from my "reliable job", I work at home on my three side projects; The Maine Square, The Canny Canary and on this blog, Pine Trees & Pearls. We do make time to go out to dinner at least once a month, but mostly we are just happy with getting home from work and spending time together cooking dinner in our own kitchen. Some might think that my life is too full of work and not enough play. But I am perfectly happy with it. 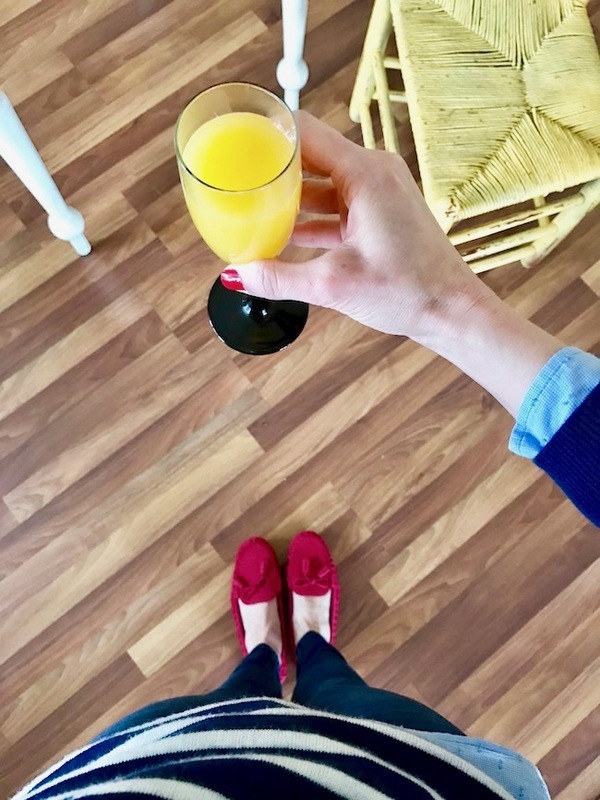 SHOP my sparkle at home look! 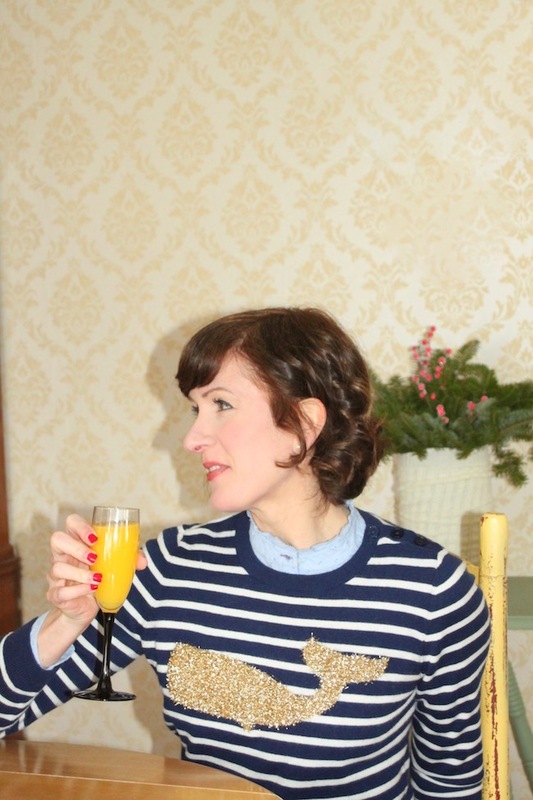 Who drinks orange juice out of a champagne flute? I do, whenever possible. It's the same as wearing sparkles. Why save those things for a "special occasion" when every day should be treated as one? You never know what's going to happen tomorrow! 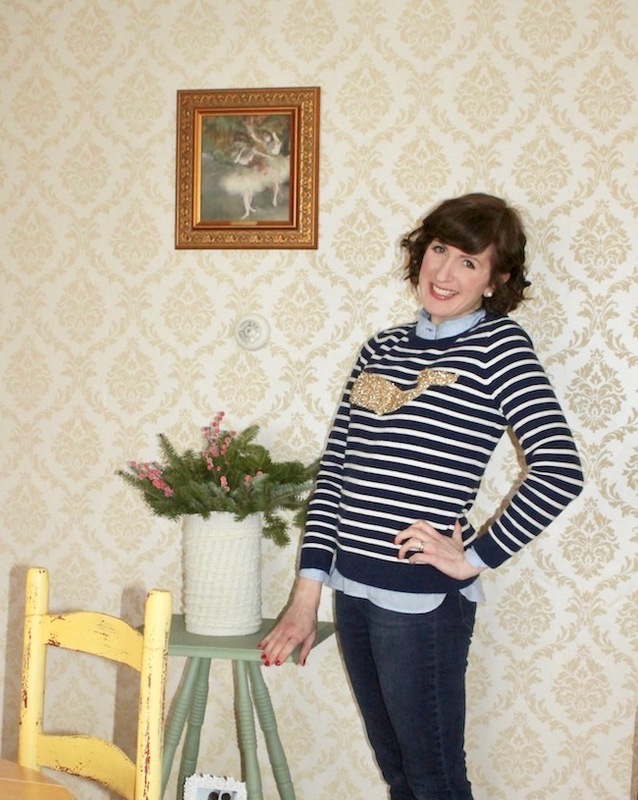 I love this nautical stripe sparkling whale sweater from Talbots. It's fun to wear and it's nice and cozy. I keep the heat down in my home, so it's almost always sweater weather for me. Nail polish color is called Wildfire by Vinylux. This is my favorite brand of polish. Why? Because it actually stays on for seven days even on people who actually use their hands like myself! 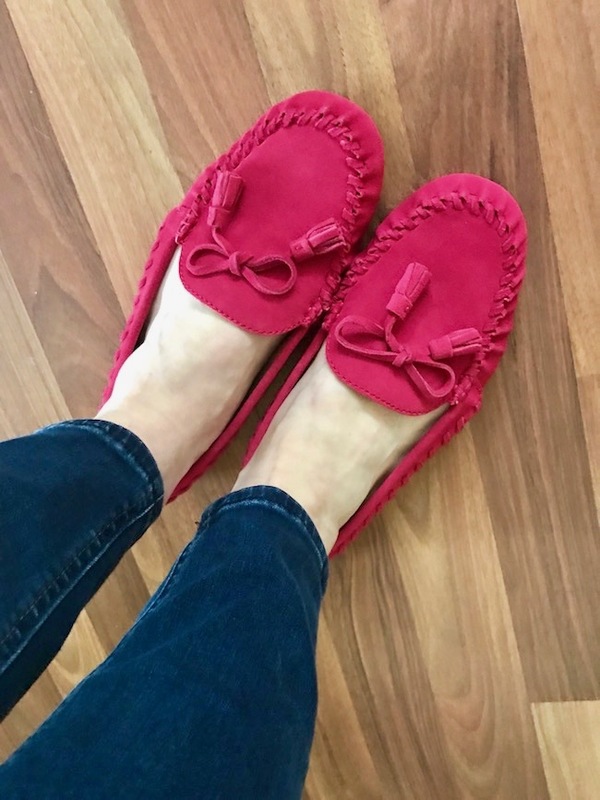 I am loving these new suede driving moccasins from Talbots in this refreshing color that they are calling dark pink grapefruit. 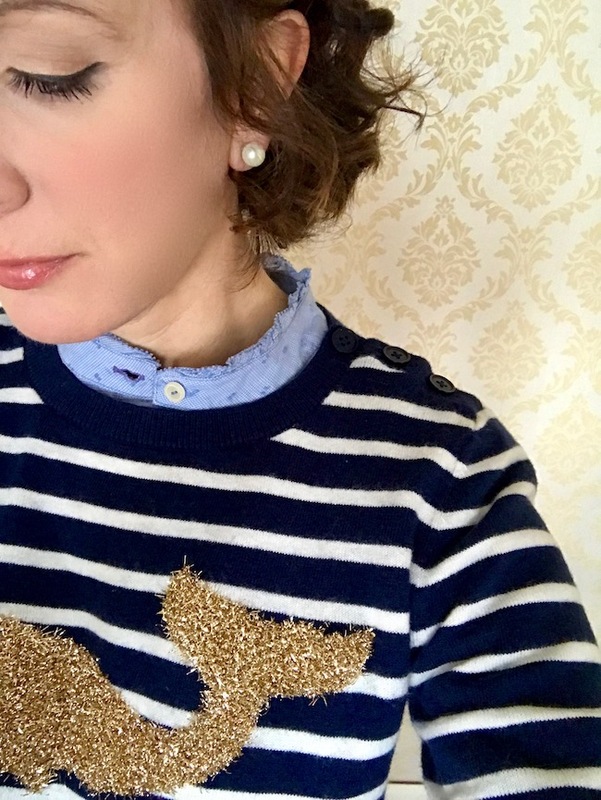 Faux pearls are this girls best friend. They brighten up your face. Try them and see! Cute outfit. You may not work there any more but you are still a Talbots girl! Thank you! Yes, I think you are right. 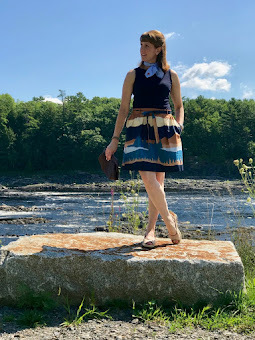 I will always be a Talbots girl :) Thank you for reading my blog!